Products records are critical to a retail system – as the sale of products and services drives revenue. Our product records make your job easier by offering all kinds of flexibility and capabilities around product type (simple products, matrix products, prompt for price, services, etc) and pricing strategies (discounts, promotions, customer-based pricing, quantity-based pricing). 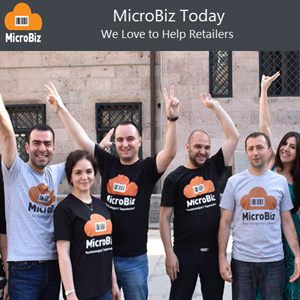 See how MicroBiz can make your job easier. 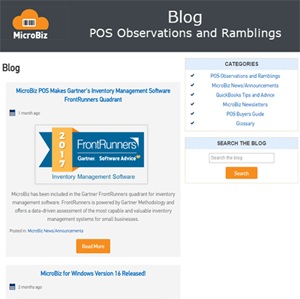 Import Data From Your POS System or Vendor Files – Our data import tools allow you to load all types of data from your existing POS system when switching to MicroBiz. You can import your products, customers and inventory levels from your existing point-of-sale by uploading a CSV or Excel file. That is much easier than re-entering the data manually. Promotions can be created for % off, $ off or a sale price. Items can be discounted at the register, with the ability to assign a reason for the discount and track any discounts by employee. You can also bundle items and assign a group or kit price at the register. There are global and item level settings to limit or prevent discounts by item. Product records allow you to enter alternative IDs or aliases to help streamline the ordering of items from different vendors. When a clerk scans or enters any one if these alternative ID’s, the product is added to the current transaction. 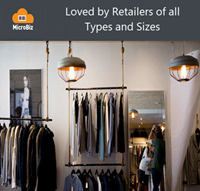 MicroBiz supports configurable products, or products that have a parent SKU, and child sub-SKUs for variants of the product (such as a range of sizes or colors). 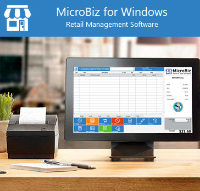 MicroBiz also includes tools to speed the creation and management of these configurable products. Set-up special pricing at the item level based on customer type, including $ off, % off, cost plus and defined price. Customer pricing can be assigned to different stores. For example, you can give loyalty customers 5% off an item while contractors are charged cost plus 10%. 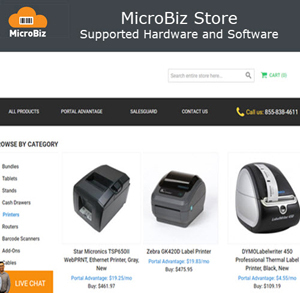 MicroBiz supports promotional pricing based on quantities purchased. Create tiered pricing with discounted prices above defined unit quantities. For example, create promotions such as ‘buy 3 at $32 each or buy 5 for $30 each’. Tiered pricing can be assigned to only certain stores or certain customer types (such as loyalty). Product records include fields for multiple alias IDs and categories, replacement cost, descriptions for POS and online and product images. You can add or modify attributes to customize the product record for the product. There are controls for ‘do not discount’, maximum discount and whether the item can be returned.